A revolutionary new design in the world of barbell locking collars, the Powerlock is engineered to provide effortless, completely fail-safe locking action every time. Researched and developed over the past century, this product incorporates a multitude of safety features and surpasses the industry standard in all levels of weight training and equipment. The Husker Powerlock remains to this day the Industry Standard in weight clamp products. Light and easy to handle at 3/4 lb. each. 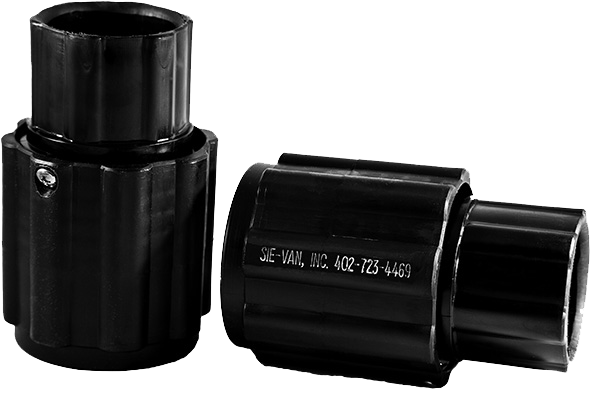 Nylon bushing provides easy action and prevents bar damage. Located in Henderson, Nebraska, right in the heart of the midwest, we are a small company that deals primarily with colleges. Each order is dealt with personally, both before and after the sale. Feel free to call us at any time, our job is making sure that things are done right. With our lifetime warranty, and impeccable build quality, we're sure you'll join the ranks of those who swear by the Husker Power Lock.